This is my drawing in honor of Native American people. 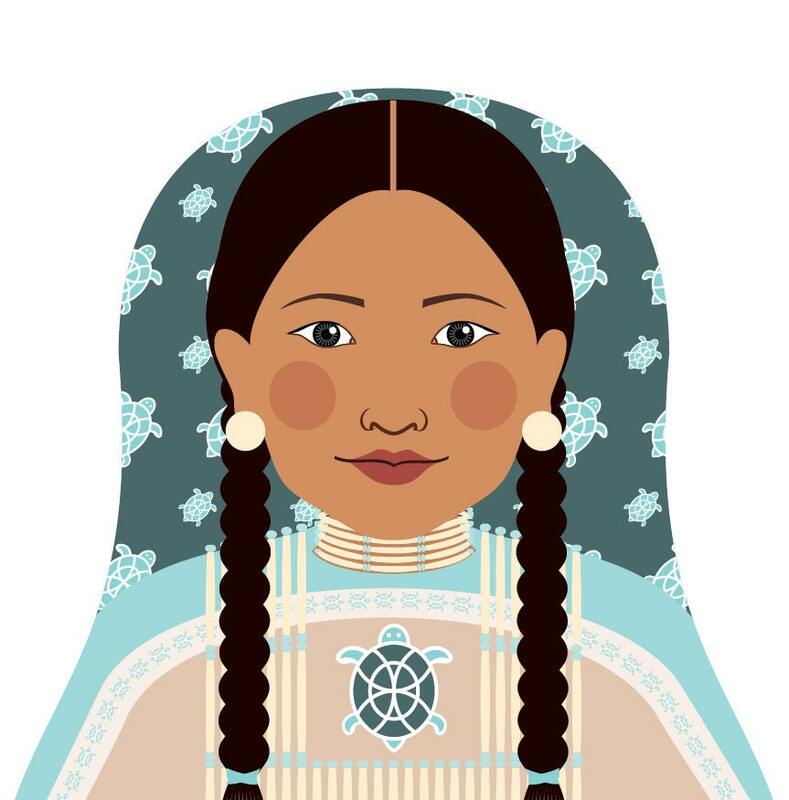 Her buckskin dress is decorated with beads, fringe and a turtle design. She is also adorned with a hairpipe bead choker and breastplate. 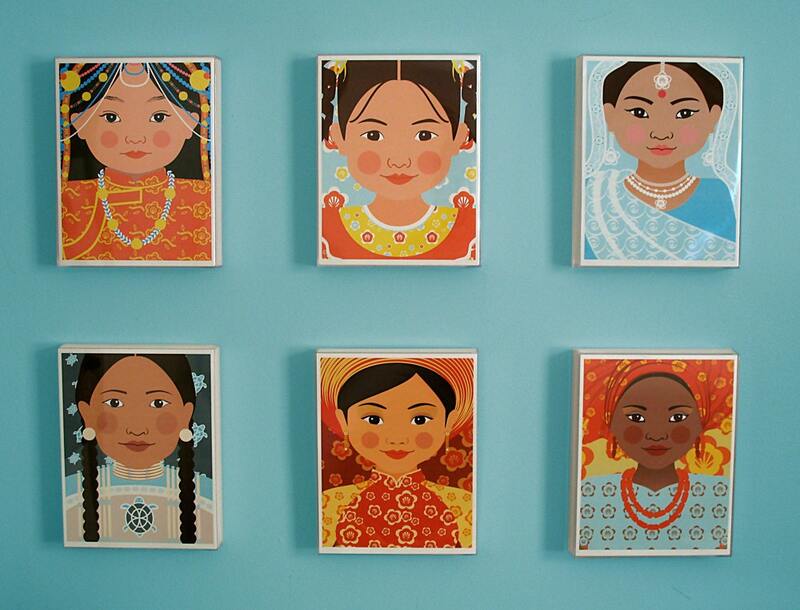 This is from my series of culturally inspired artwork featuring women and girls in traditional dress from around the world. To unify this series, and to celebrate women and their familial relationships, they are all drawn in the shape of a Russian nesting doll (AKA Matryoshka, babushka, stacking doll) for its maternal symbolism. The entire series can be found in this shop in alphabetical order. 8.5 x11 inch With a label (Name or Culture/Nationality). 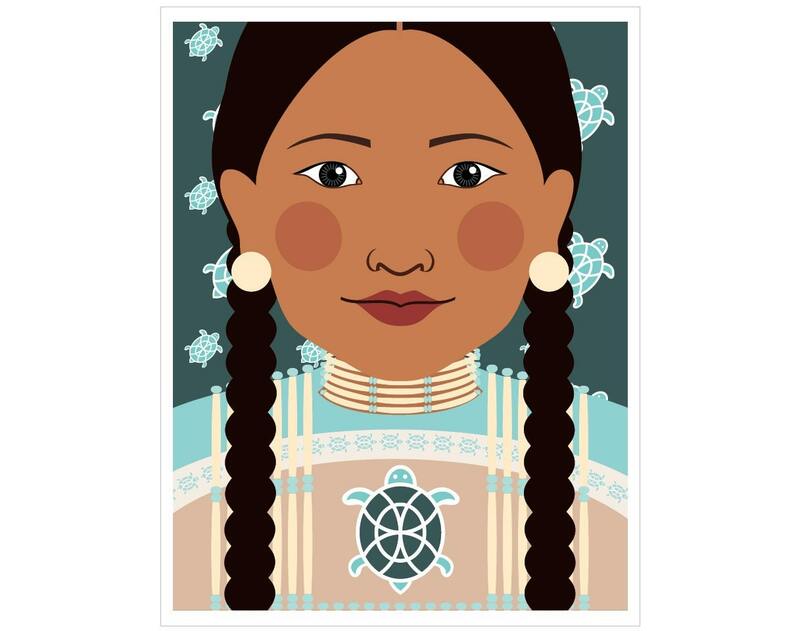 If you would like to personalize the print with a name, please choose "Labeled 8.5 x 11 inch" and leave me a name to add to the print or the print will say, "Native American ". To see an example of a labeled print, click on the second image above. Since the paper size is 8.5 x 11 inch, there is plenty of white border for 8 x 10 inch framing. Close-Up 8.5 x11 inch (Fourth image shown above). The paper size is 8.5" x 11" with a white border around image. The last image above shows from top left to right my: Tibetan, Chilean, Aqua Indian, Native American, Vietnamese Fire, and Southern Nigerian Matryoshka close-up prints. This listing is only for the Native American Woman Matryoshka shown here in an acrylic box frame, FRAME NOT INCLUDED. lovely! I didnt realize it was just going to be like a picture on a white background, for some reason i envisioned it as more of a decal or something. I would probably have ordered a bigger one but it's kind of my own fault for not reading what it was more carefully. Looks exactly like the picture though - I would love to see this as a stick on wall decal even in various sizes so you can make a while set of russian nesting dolls out of them! I love these prints. All arrives perfectly. I chose prints from all the counties I've been to and I love how my little project turned out. They remind me of my travels with a side of girl power.